Buying a home is a big decision and can be even more overwhelming if you’re not familiar with the city or state where you’re moving. It’s not just about finding a home with four walls; it’s about finding a community that fits your lifestyle and personality. And as a real estate agent, it can be challenging to showcase everything a specific community has to offer to a potential buyer. Shouldn’t homebuyers have an opportunity for a trial run? Realtor.com thinks so. Realtor.com and Airbnb announced a partnership today that allows homebuyers to “live like a local” before making a major purchasing decision in cities throughout the country. 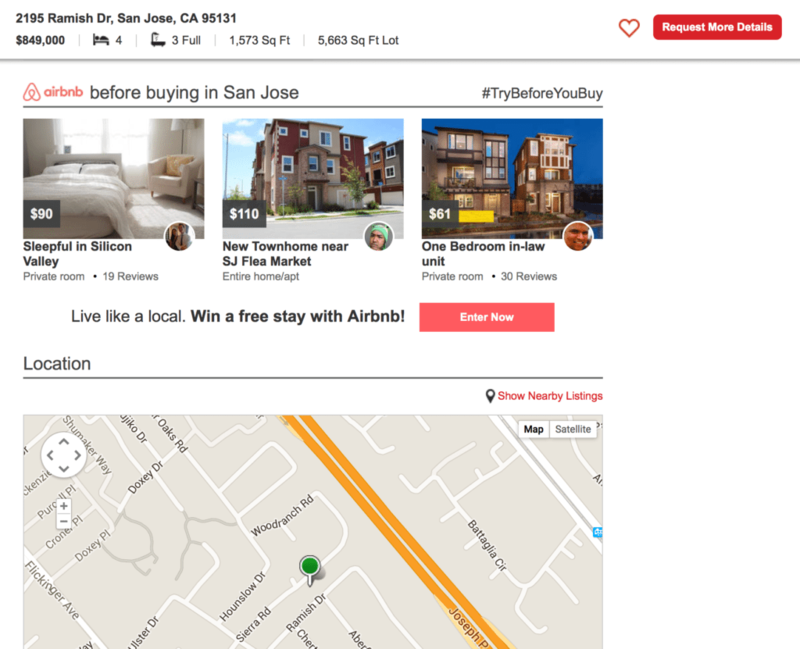 Buyers searching realtor.com for a home can select the option to “Airbnb before buying,” which will appear on the home page. Realtor.com’s home page with the new Airbnb option. Three rotating listings will display in the for-sale search results page and the listing detail page, and homebuyers will be redirected to the Airbnb website to find even more options in the area. “The idea behind this was that a lot of people who are moving to a new location want to sample and try different areas. 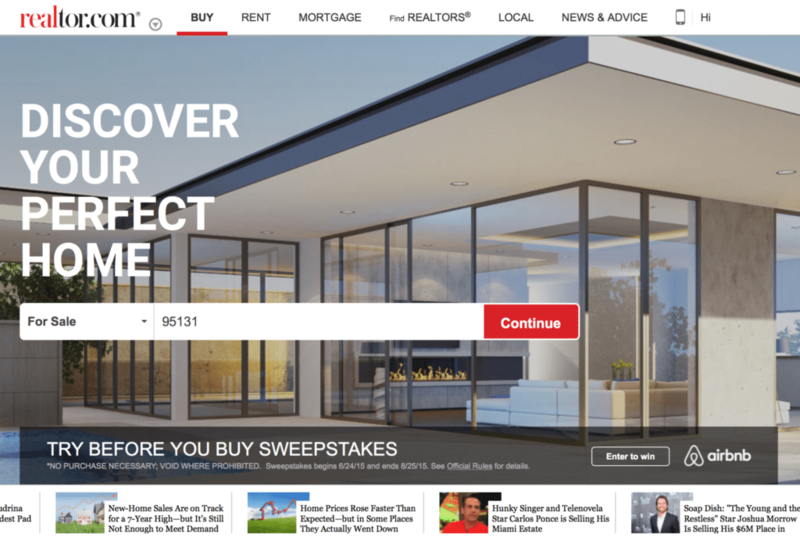 We felt this was a way to let people go into new marketplaces and, once they got a feel for what they are looking for and really excited about, they’d be ready to buy,” said Ryan O’Hara, CEO at Move Inc., which operates realtor.com. Many people relocating to a new market stay in a hotel when they visit the marketplace, but hotels are not always located in the actual neighborhoods where people want to live. Plus, hotels don’t offer the same level of comfort and localized experience of staying in a home. Ever wanted to live like a local before moving to a new city? Now you can. The option to stay in an Airbnb home gives the buyer an inside look into what it’s really like to live in a neighborhood. Perhaps the streets are busy with runners and dog-walkers in the evenings, or the main strip of bars and restaurants nearby is active and lively into the night. Homebuyers can also see how long it takes to walk or drive to the grocery store, where the biggest park is located and which cafe has the best coffee. This concept is applicable to all age groups, but O’Hara said it’s especially targeted toward the younger generation looking to buy their first home — a group that is somewhat gun-shy when it comes to making a big purchasing decision.